So this happened today. World, meet Luna. Between chemo last Monday, Thanksgiving on Thursday, and family in town, I hardly turned on my computer. My dad and his wife came to visit for the week. We only debated a little bit about the recent elections, we ate turkey and pumpkin pie until our bellies ached, and we watched football (where Chris and Quinn cheered for the "Go Niners" and the rest of us celebrated the Seahawks). And we adopted a dog. It was exactly the week I needed. How about you? How did you spend your holiday? Now to panic since it's December and I haven't started Christmas shopping yet. In the meantime, here's what caught my attention on the web over the past couple of weeks. "The team determined that the tumors had developed six different mutations that led to drug resistance. But the result of all these mutations was the same: The tumors had lost the ability to express a protein called PTEN. The findings suggest a new approach for combating drug resistance by taking advantage of the fact that not all PI3K inhibitors work using the same mechanism." And What if We Could Drain Cancer's "Fuel Tank"? They're not talking about dieting to starve a cancer cell. "Blocking cancer cells' ability to generate the energy they need to grow and divide is an exciting new avenue for future cancer treatments. This research suggests that MCT inhibitors may be particularly effective against breast cancer 'stem cells' that can resist other treatments, and could prevent the cancer from coming back - but further work is needed to find out if these drugs can help patients. Cancer Research UK is funding trials of these drugs in a range of cancer types." What if We Could Track Circulating Tumor Cells in the Bloodstream? Before they settle down and form tumors, before they metastasize. "Once they identified the cancer cells, the researchers were able to separate them from normal cells. This ability to isolate, culture and grow the cancer cells will allow researchers to zero in on the cancer cells that matter to the health of the patient. 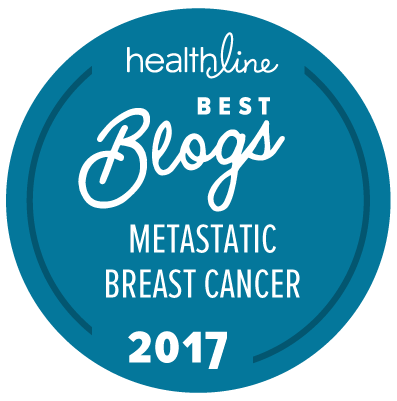 Most circulating tumor cells may not metastasize, and analysis of the cancer cells could identify those that will." Are Preventative Surgeries Worth the Risk? Cavalheiro is one of about 100 Bay Area women between 35 and 50 years old with the BRCA1 or BRCA2 mutations who are participating in a clinical trial that is examining changes in cardiovascular health, bone density, sexual function, quality of life and other effects on women who go into early menopause." We're talking about the BRCA1 and BRCA2 gene mutations again here. "Women who are genetically susceptible to breast cancer and develop it in one breast are at higher than average risk for a tumor in the other breast, and that risk may increase as time goes on, according to a new analysis." Why Does Immunotherapy Work in Some Patients But Not Others? Memorial Sloan Kettering scientists may have some answers. "'For the first time, it might be feasible to develop a reliable diagnostic test to help guide treatment decisions by predicting who will respond,' says physician-scientist Timothy Chan, who led the research. The findings could also inspire new research that potentially may lead to more-powerful immunotherapies for melanoma as well as for other cancers." Love your Around the web series. And your sweet dog! How old is she? They estimate she's about 2 years old. She is a total love! thank you so much for gathering and posting the around the web articles - I know it must take a lot of time and effort and I appreciate the advocacy you are so passionate about. oh, that adorable Luna! I hope she is bringing lots of happiness and laughter to your family - she looks like a puppy, and she is beautiful! thanks for posting that darling photo! Is All of This Perfectly Normal?